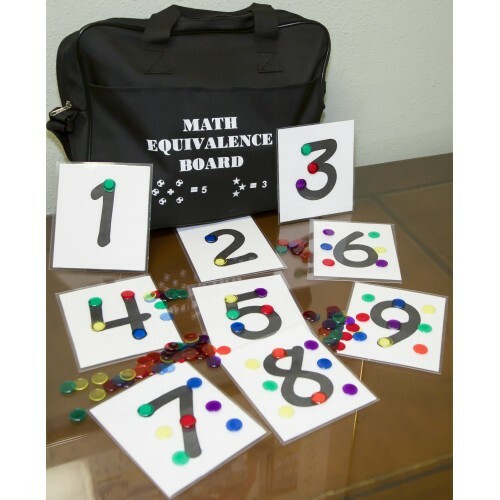 This teaching tool has been developed with permission from Dr. David Krug as an alternative to dotted number overlays. 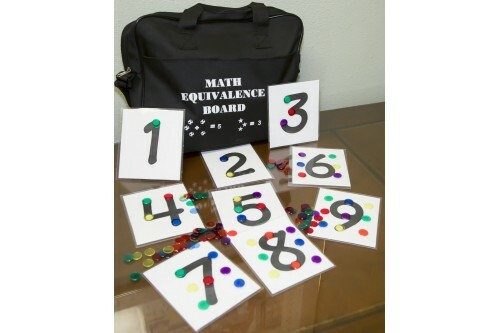 Each card contains the exact amount of dots (plastic chips on Velcro) which has proven successful. There is no double counting required.